Sam Wu is NOT a scaredy-cat (except when he is). And when a shark TOTALLY tries to eat him at the local aquarium, he decides he's not going to take any more chances. So at his friend's birthday party at the beach, Sam refuses to dip even a toe in the water. Nothing could go wrong now, could it? 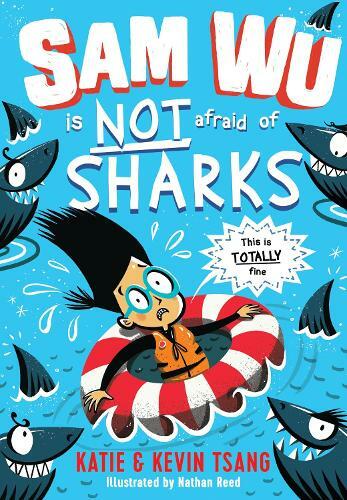 A wonderful belly-laugh of a book, perfect for young fans of Tom Gates and Pamela Butchart. Also look out for Sam Wu is NOT Afraid of Ghosts.